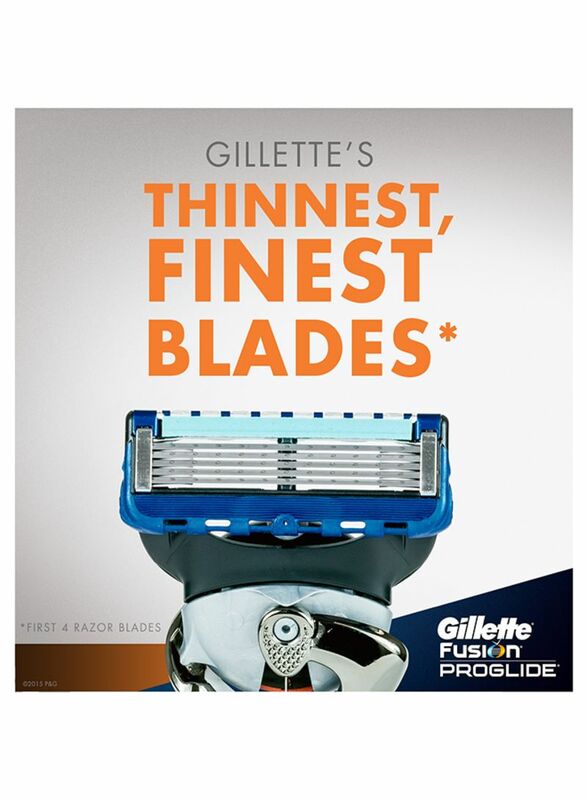 Gillette - the best a man can get. 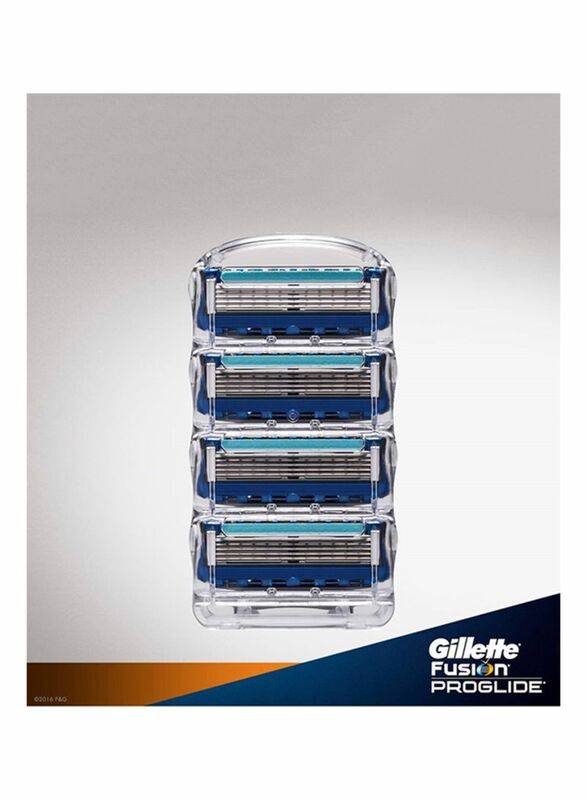 Featuring 5-blade shaving surface, Gillette Fusion ProGlide men's razor blades guarantee you the most comfortable and precise shave. 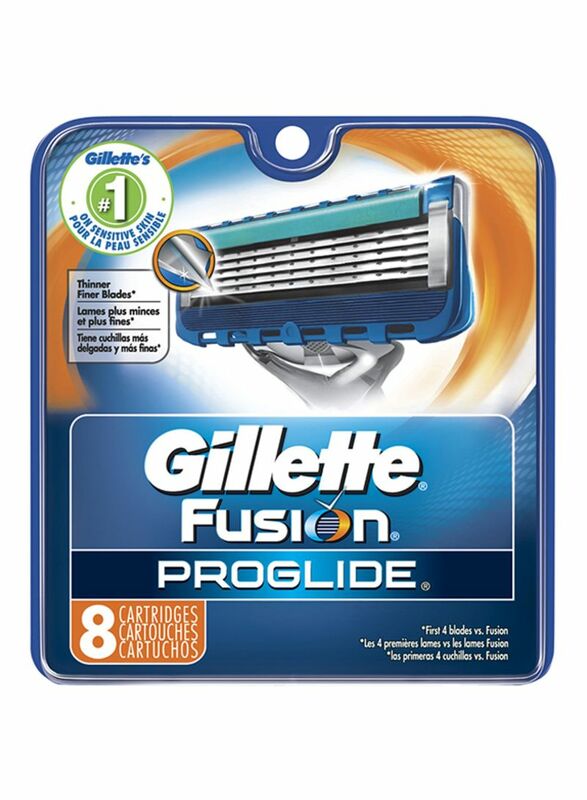 Fusion ProGlide’s reengineered Low Cutting Force razor blades feature thinner, finer edges with advanced low resistance coating to cut effortlessly through hair with less tug and pull. Perfectly following the contours of the face, it prevents you from the undesirable nicks and irritation. 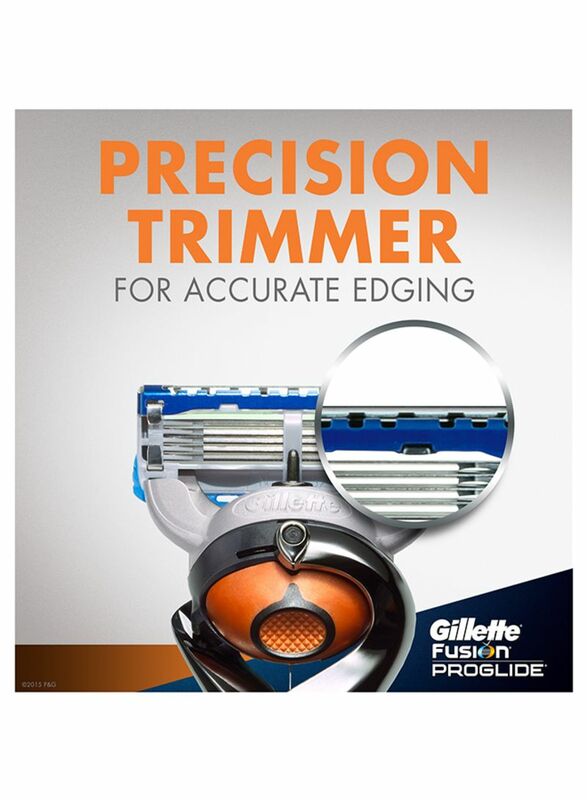 The Flexball technology allows the razor to pivot in multiple directions for maximum contact and get virtually every hair. The enhanced Indicator Lubrastrip signals the time for changing the blade and is infused with more lubricants and a touch of mineral oil. A Blade Stabilizer maintains optimal blade spacing for comfort. 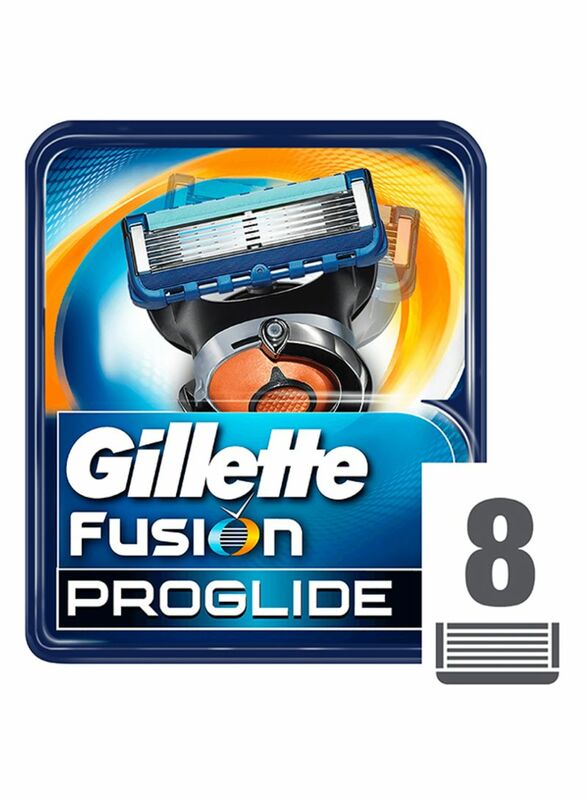 Fusion ProGlide men's razor - Gillette's most comfortable and close shave. 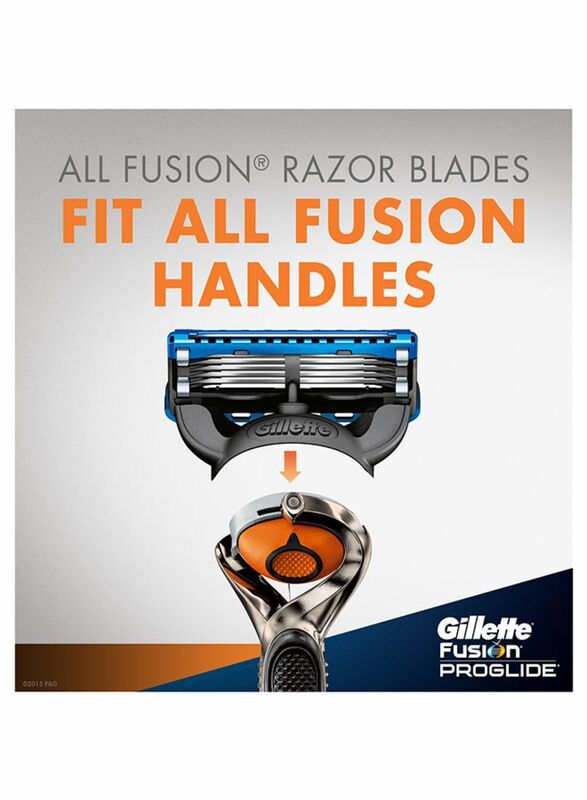 For best effect, use together with Gillette Fusion ProGlide gel and aftershave cosmetics.